This course in algebra from Alison will guide you through among other things expressions, systems of equations, functions, real numbers, inequalities, exponents, polynomials, radical and rational expressions. The course is divided into 12 chapters and each chapter is divided into several lessons. Under each lesson you will find theory, examples and video lessons. 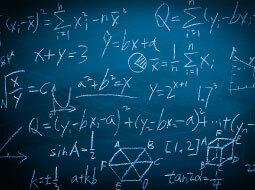 This course is ideal for learners who want to study topics in algebra in detail. This course will help you to understand expressions, equations and functions. You will be able to explore real numbers and solve linear equations, along with gaining a good knowledge of formulating linear equations and inequalities. You will know exponents and exponential functions. This course will help you to understand factoring, polynomials and how to formulate quadratic equations and radical expressions.